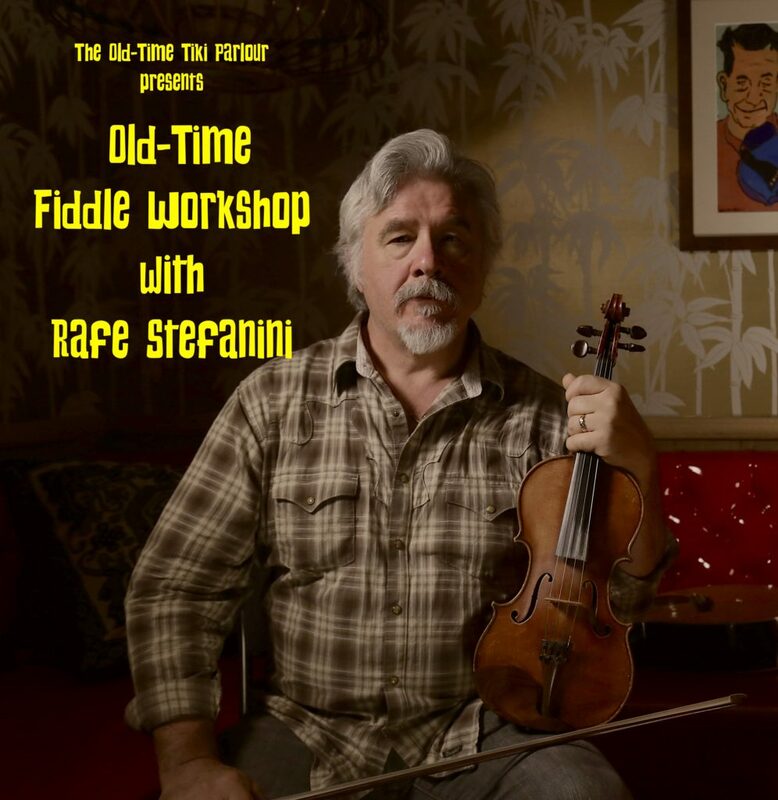 Come join us for an intimate fiddle workshop with old-time master musician Rafe Stefanini. He’ll be teaching just this one workshop during his week-long residence at the Old-Time Tiki Parlour. Seating is limited so RSVP before it’s too late. Rafe Stefanini has been at the forefront of the revival of traditional music from the rural south for over thirty years. His work on fiddle, banjo, guitar and song is represented in over 20 CDs, both as headliner and as guest. He has been a member of such influential bands as the Wildcats, Big Hoedown, The Rockinghams and lately Jumpsteady Boys (with Bruce Molsky, Joe Newberry and Mike Compton). He has been a teacher at many music camps on fiddle, banjo and guitar. His performance DVD with Clelia Stefanini was the first release from the Old-Time Tiki Parlour. Mike Bryant & Paul Brown CD-Now Available!